The star attraction of Valencia, Spain’s third-largest city, is without a doubt the enormous and impressive City of Arts and Sciences. The five main elements of this futuristic series of complexes stretch for nearly a mile along a former riverbed, infusing the city with a sense of futuristic wonder. 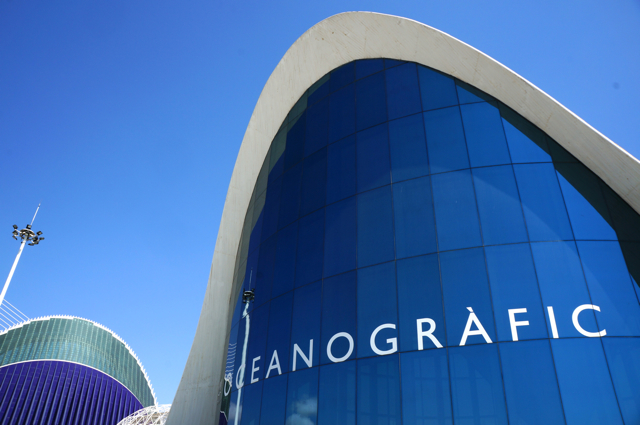 The attractions here are dedicated to sharing scientific and cultural knowledge and include the Hemisfèric, an IMAX theater, the Príncipe Felipe Science museum, the Oceanográfico, an aquarium, the Palau de les Arts Reina Sofía, an art museum, and the Ágora, which can be rented out as a venue. The City of Arts and Sciences is a ways out from the city center, and no metro line runs there, so you will need to take a bus. The Palau de les Arts Reina Sofía is the first building in the long stretch and the contrast between the ancient Roman Ruins of the old town and the modern architecture of is striking. 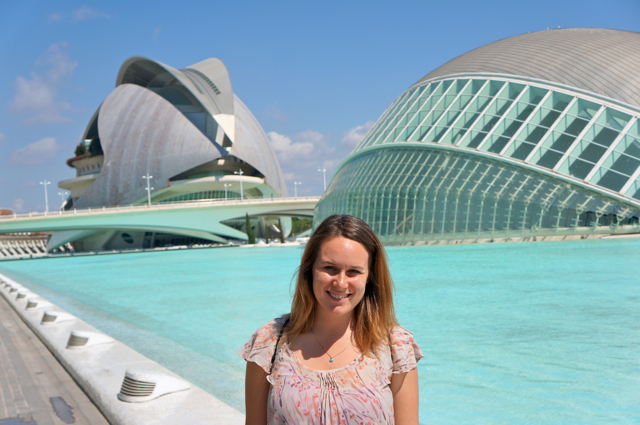 During my recent visit to Valencia, I experienced the science museum and Oceanográfico with my friend Alessandra. 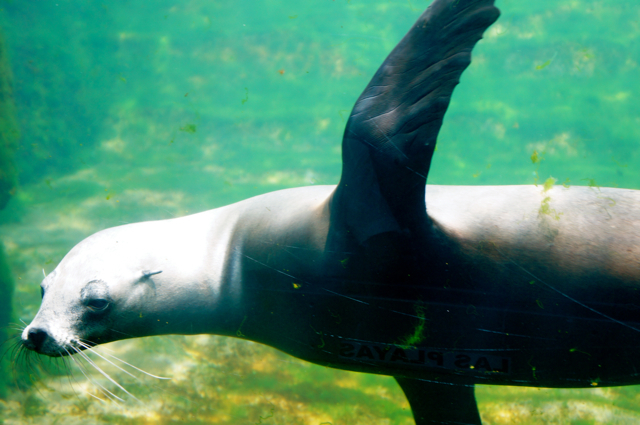 Our first stop was the Oceanográfico. 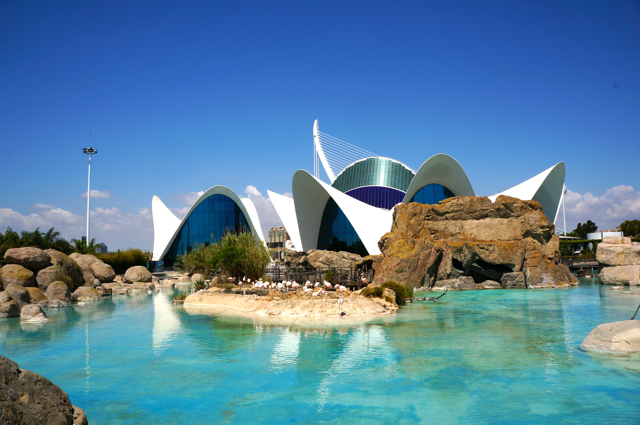 With more than 500 marine animals, this is the largest aquarium in Europe. 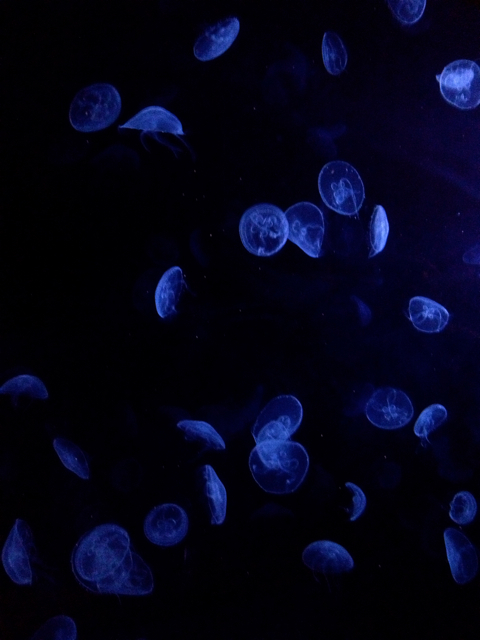 The Oceanográfico is amazing! It is one of my favorite things I’ve seen in Spain, but this probably has something to do with the fact that, after living in Central Florida for so long I feel quite at home among artificial rocks and sea animals. And the Oceanográfico has plenty of both. 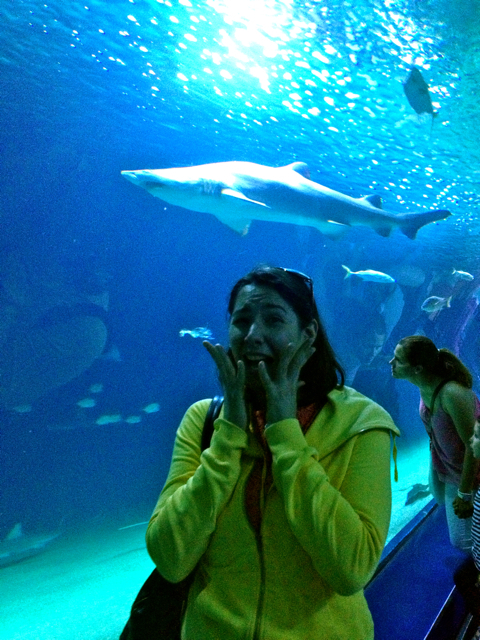 But really, I’ve been to quite a few aquariums in my day and this one rivals the best. 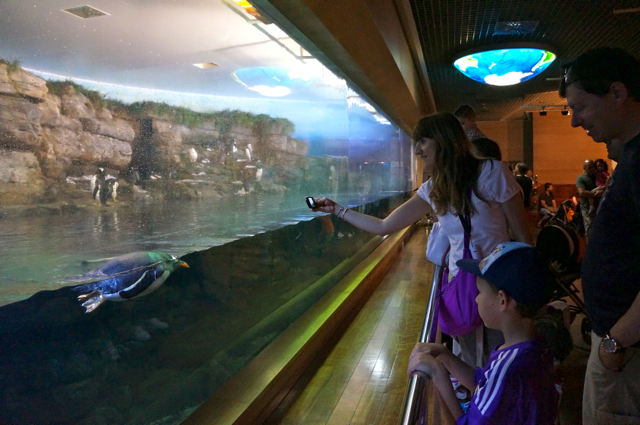 The aquarium is set outdoors, though many animal exhibits are indoors. 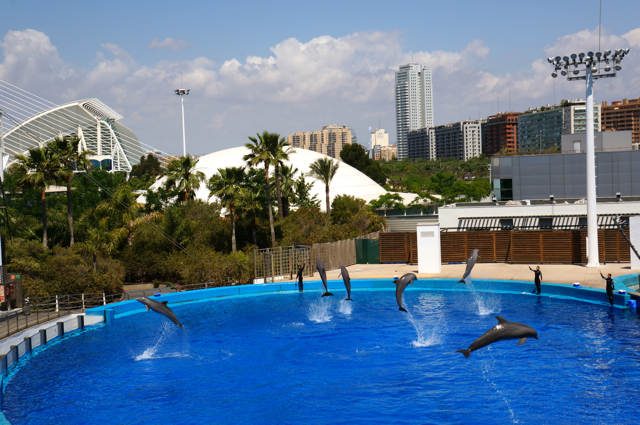 A dolphin show runs several times daily in the Dolphinarium. There is a wetlands aviary as well as exhibits that house animals from Arctic, Antarctic, Mediterranean tropical and temperate climates. 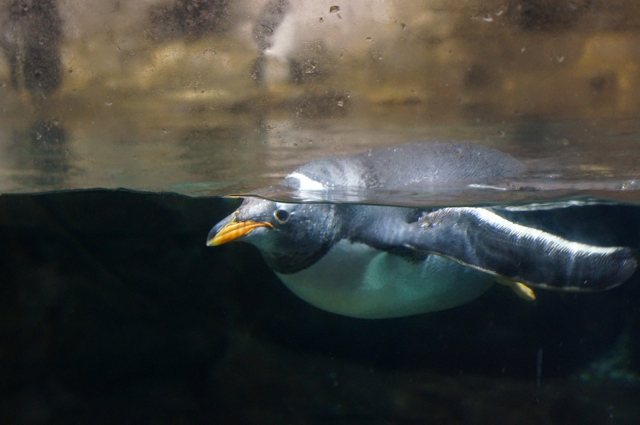 The penguins in the Antarctic exhibit are especially friendly. 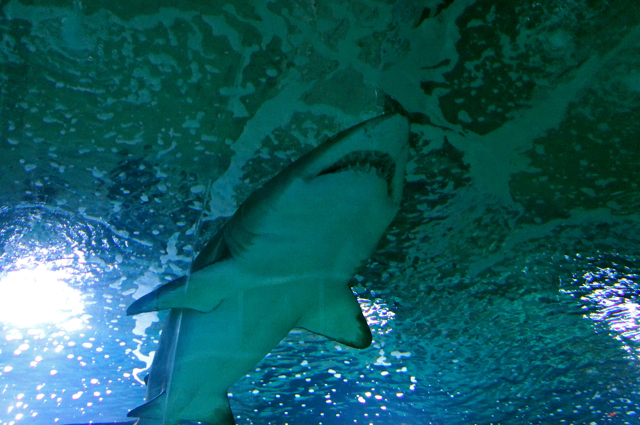 One of the best exhibits is the shark tunnel. Well, Alessandra may have had a different opinion. After exploring the aquarium for several hours, we headed to the science museum. With many hands on exhibits, this is a great place for children to explore the human body, electricity, space, DNA and more. We compared how far we could jump to other animal species. 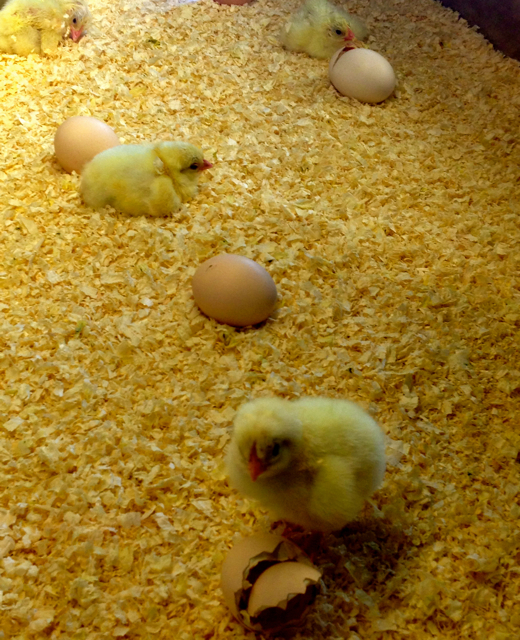 And saw baby chicks being born in the hatchery. 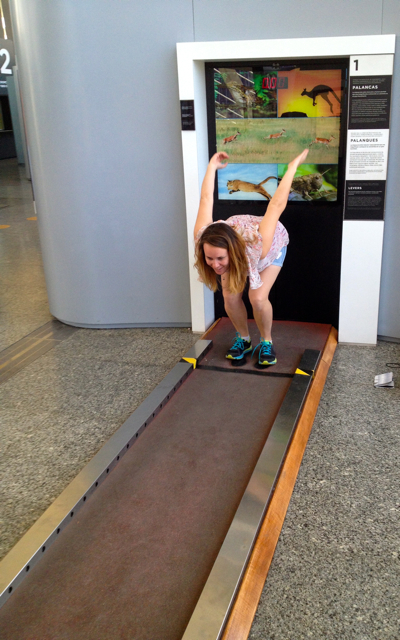 I also really enjoyed the exhibit that discussed health with interactive exhibits featuring the Valencia football team. 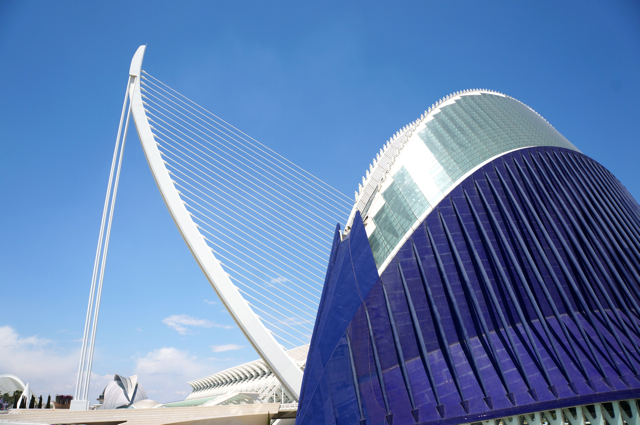 With stunning architecture and interesting exhibits on a vast number of topics, the City of Arts and Sciences is a must when visiting Valencia, especially with kids. 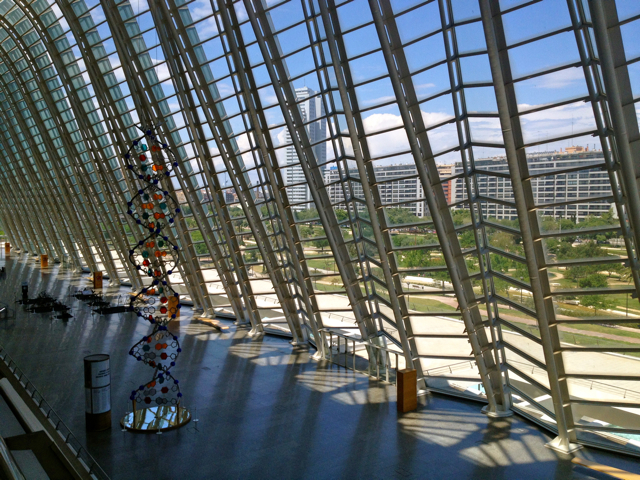 Note: I received complimentary admission to the Oceanográfico and Science Museum. However, all thoughts and opinions are my own.